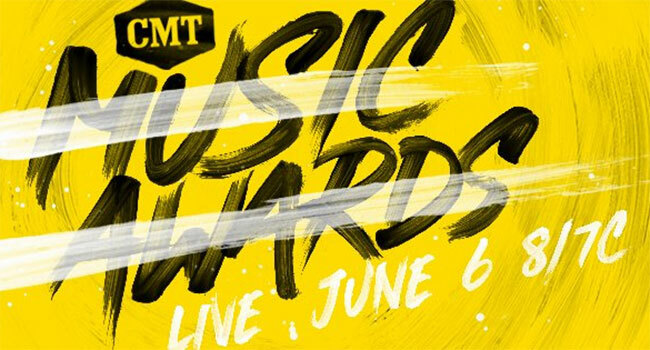 Hosted by country chart-toppers Little Big Town, the 2018 CMT Music Awards has announced the second round of superstar performers that will take over Nashville’s Bridgestone Arena on Wednesday, June 6th at 8 pm ET/ PT. The newest superstars to join the already-impressive performance line-up include Backstreet Boys, Carrie Underwood, Dan + Shay, Florida Georgia Line, Jason Aldean and hosts Little Big Town. CMT has also revealed that country music’s loudest night is about to get even louder with two star-studded collaborations; country icon Dierks Bentley featuring “Video of the Year” nominees Brothers Osborne, as well as “CMT Performance of the Year” nominee Darius Rucker featuring Jason Aldean (who is tied for most CMT Music Awards nominations), Luke Bryan and Charles Kelley. More performers to be announced in the coming days. Last week, the first round of 2018 CMT Music Awards performers were announced including Blake Shelton, Chris Stapleton, Kelsea Ballerini, Luke Bryan and Sam Hunt. It was also revealed that pop superstar Kelly Clarkson will premiere her rendition of iconic rock hit, “American Woman,” from the promotional campaign for the upcoming Paramount Network series of the same title debuting the day after the Awards on Thursday, June 7th at 10 pm ET/PT. Inspired by the real-life upbringing of Kyle Richards (Real Housewives of Beverly Hills), American Woman follows Bonnie (Alicia Silverstone), an unconventional mother struggling to raise her two daughters after leaving her husband with the help of her two best friends, Kathleen (Mena Suvari) and Diana (Jennifer Bartels) in 1970s Los Angeles. The second performance announcement follows the news that Grammy-nominated R&B artist Leon Bridges and global breakthrough country singer-songwriter Luke Combs will film a special outdoor CMT Crossroads on Tuesday, June 5th on the corner of 5th and Broadway in downtown Nashville. The taping begins at 8:30 pm CT and fans should arrive early as the event is standing room only, first-come, first-served. The performance will debut on June 28th.